Such decoration can be easily made on your sneakers. 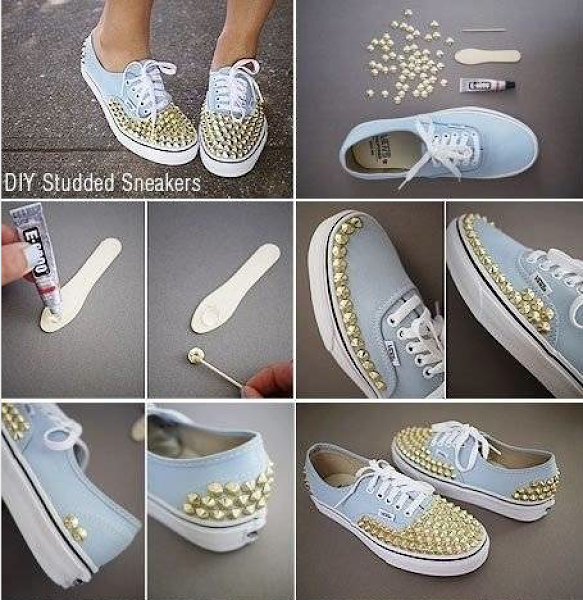 You just need to find many studs and place them at random over the shoe. Be creative and you can make your sneakers impressive, distinctive and unique.